An aquatic sport in which two teams of seven players (including a goalkeeper) attempt to throw a ball into the opposition’s goal. The two teams are identified by the colour of their bathing caps. Players advance with the ball, either holding it in one hand or pushing it in front of them, but cannot touch it with both hands at the same time (with the exception of the goalkeeper) or hold it under the water. The player with the ball may be impeded, but cannot be pushed, pulled, or leaned on. The team that scores the most goals wins the match. 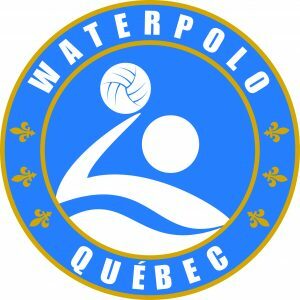 Water-polo Québec oversees the promotion, development, and governance of water-polo in Quebec. Water-polo Québec organizes and coordinates all water-polo related activities in the province, from initiation to supporting elite clubs and athletes.